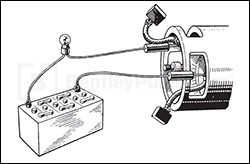 The Complete Official Triumph TR2 & TR3: 1953-1961 is a comprehensive source of technical repair information for Triumph TR2 and TR3 models sold in the United Kingdom and in North America during the model years 1953-1961. Originally published in 1976, this manual was prepared in order to provide complete, authentic maintenance and repair information. 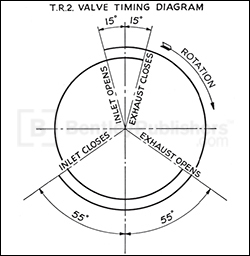 The Driver's Instruction Book at the beginning of this manual is similar to the handbook that was provided with every new Triumph TR2 and TR3. 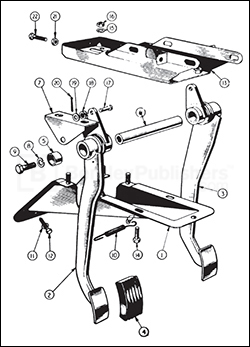 The Service Instruction Manual, making up the larger part of this book, is the official factory manual and was originally intended for use by dealer service departments. 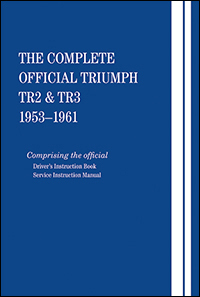 Including accurate and comprehensive service information for 1953-1961 TR2 and TR3 vehicles, this manual is an indispensable resource for both the professional mechanic and the TR2 and TR3 enthusiast.